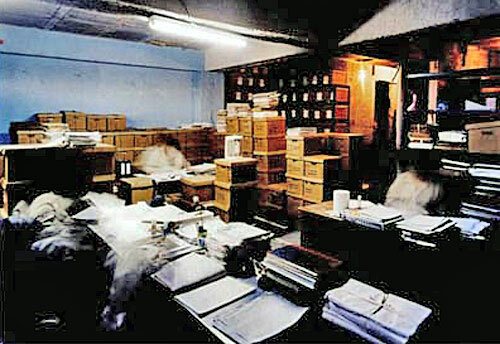 In July 2005, employees from the Human Rights Prosecutor’s office in Guatemala discovered a vast collection of files abandoned on a police base in downtown Guatemala City. The documents once belonged to the National Police, the central branch of Guatemala's security forces – an entity so deeply involved in repression during the armed conflict that the 1996 peace accords mandated it be completely disbanded. The police archive – some 80-million pages covering the activities of the National Police from the late 19th century until its dissolution in 1997 – was staggering in its scope and significance, filling a crucial void in the search for and truth and justice regarding human rights violations. With the help of the National Security Archive and other organizations, the files were rescued from their deteriorating state, restored, and are in on-going process of being fully digitized, archived and made available to the public. Today, the Guatemalan National Police Archive constitutes one of largest and most revealing collections of “dirty war” documentation ever unearthed in Latin America. The records have also served prosecutors as crucial evidence in human rights criminal cases, leading to the conviction of military and police perpetrators. 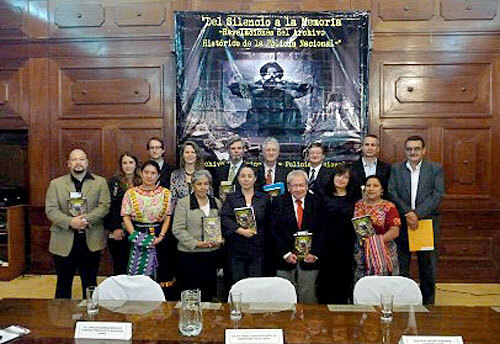 National Security Archive's Kate Doyle speaks at the ceremony for the release of the report, "From Silence to Memory: Revelations of the Historical Archive of the National Police" in Guatemala City, Guatemala on June 7, 2011. On July 5, 2005, officials from the Guatemalan government's human rights office (PDH - Procuraduría de Derechos Humanos) entered a deteriorating, rat-infested munitions depot in downtown Guatemala City to investigate complaints about improperly-stored explosives. 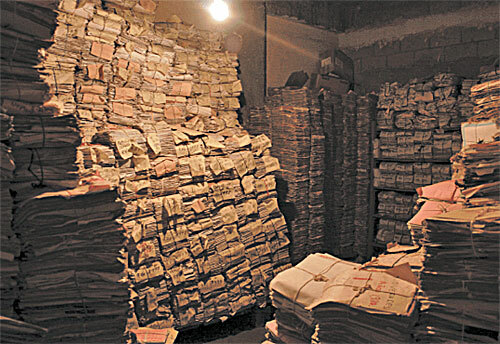 During inspection of the site, investigators found a vast collection of documents, stored in five buildings and in an advanced state of decay. The files belonged to the National Police, the central branch of Guatemala's security forces during the war - an entity so inextricably linked to violent repression, abduction, disappearances, torture and assassination that the country's 1996 peace accord mandated it be completely disbanded and a new police institution created in its stead. An update on the Guatemalan Police Archive. 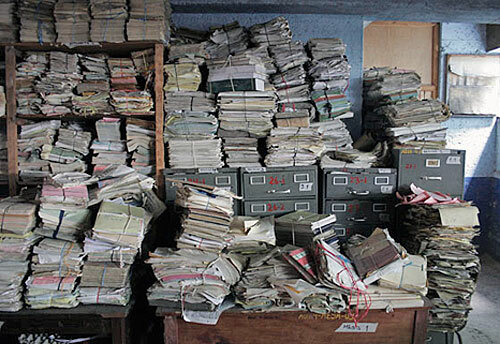 National Security Archive’s Kate Doyle visits the archive repeatedly, working closely with the Guatemala Human Rights Ombudsman and his staff on the ongoing recovery effort and investigation of the massive record collection.